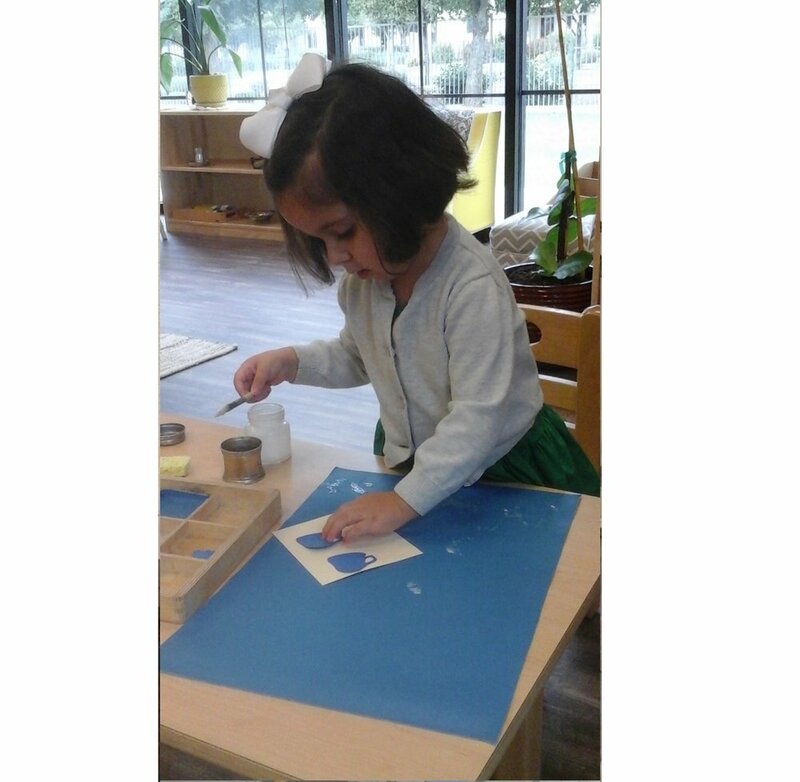 The basic principles of the Montessori Method centers on “following the child”. The child’s curiosity directs them in different ways. They have an inner impulse asking for new experiences, discoveries, and knowledge. 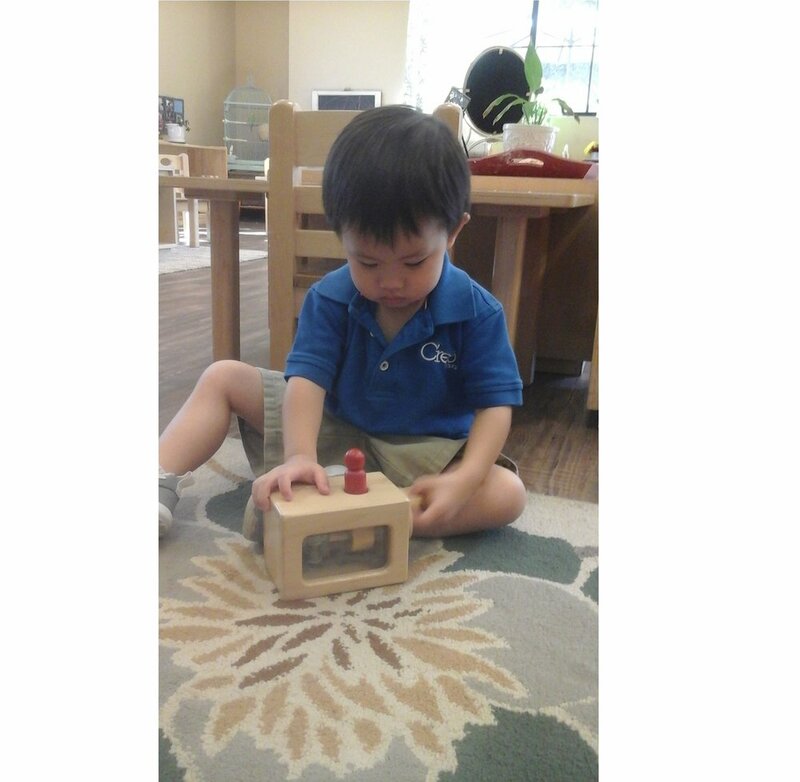 Maria Montessori learned that children have an interest in manipulating materials with their hands. 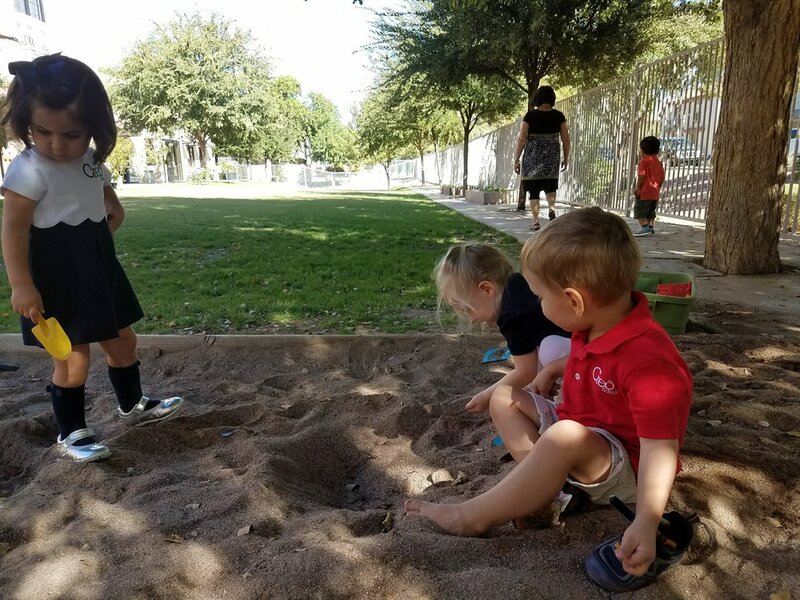 She came to realize that if you give the child the proper set up and time they will be able to explore and discover and eventually teach themselves. Dr. Montessori observed what she called “sensitive periods”. 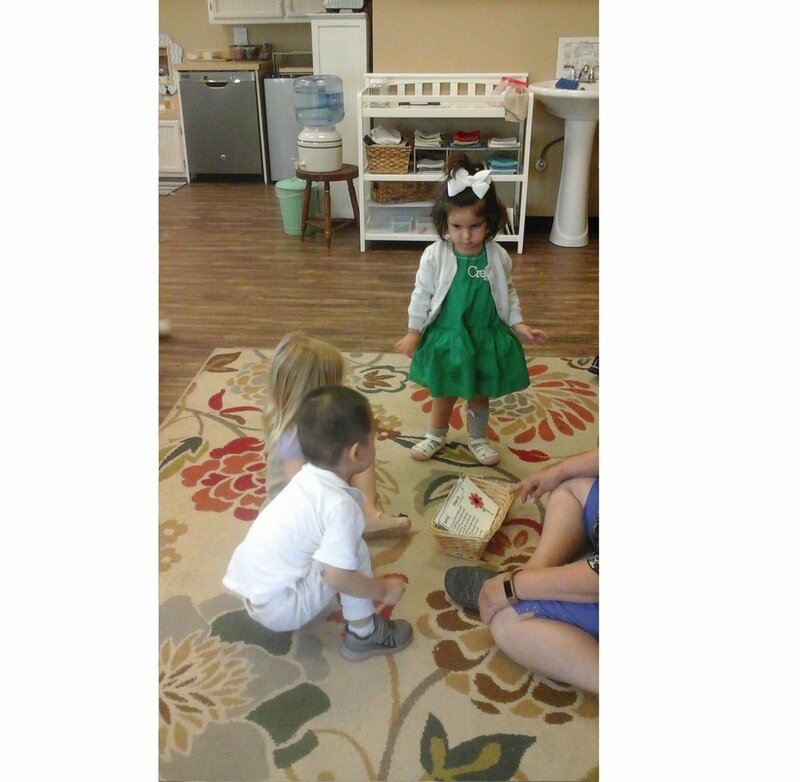 This is when the child is sensitive or thrives to develop a certain skill like learning to walk, talk, read and write. She developed a range of materials for each area of her curriculum; practical life, sensorial, math, language, and culture. 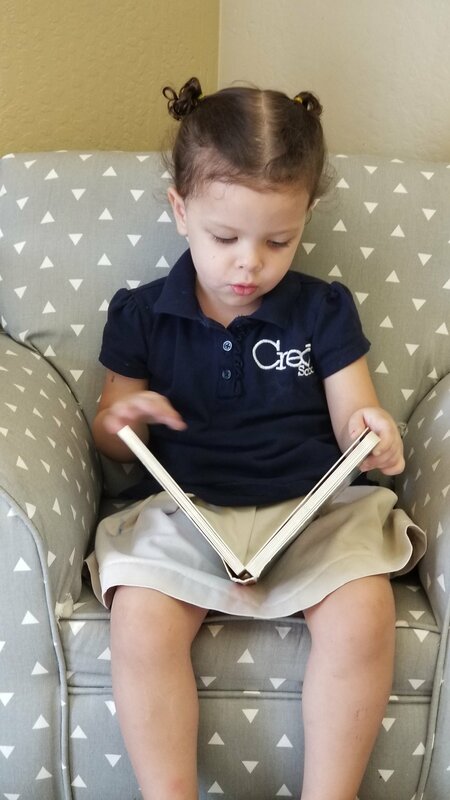 In the classroom the adults focus on just that - teaching the child what they are interested in! Each child works individually at a table or on a rug. They are free to choose which ever materials and are intrinsically motivated to work on. In order for the adult in the environment to “follow the child” they must observe, analyze, plan for the child, then observe again. 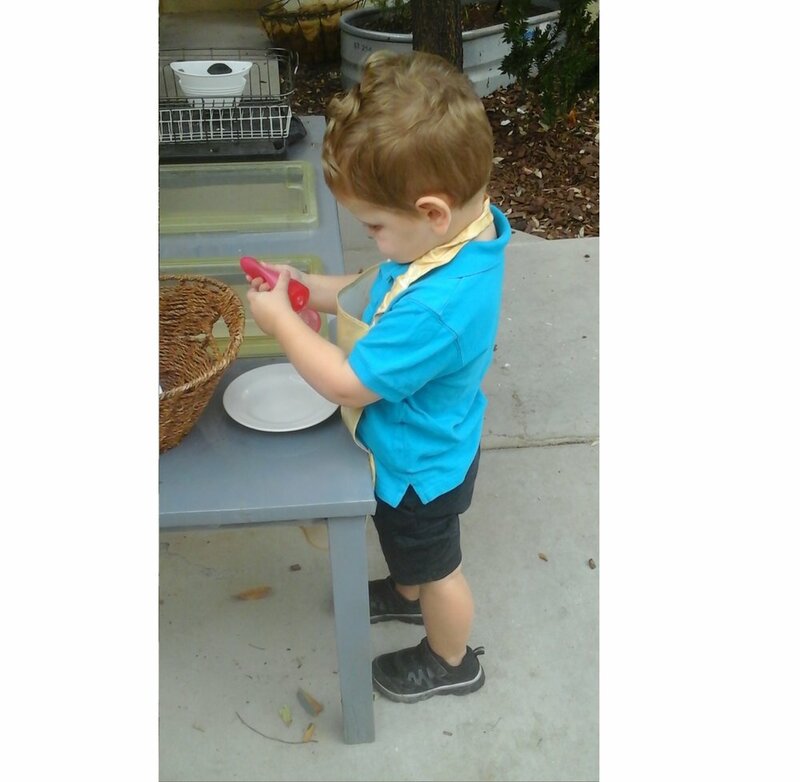 It is through observations of the child’s choices that the teacher can distinguish what the child needs to do. 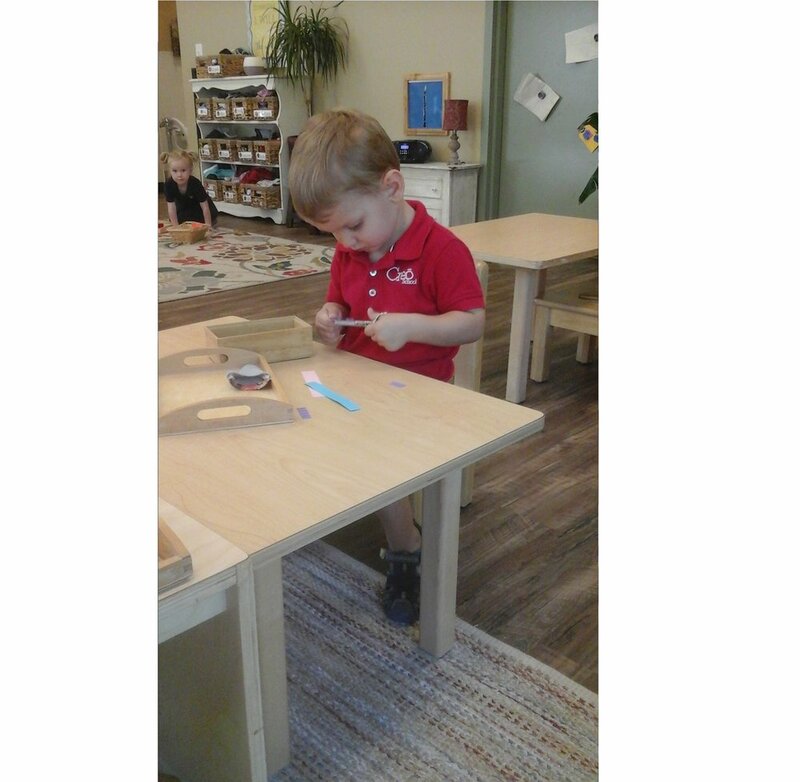 As long as the child is interacting with the materials in the environment and being respectful of the materials and others, the teacher can stand back and observe without interfering. 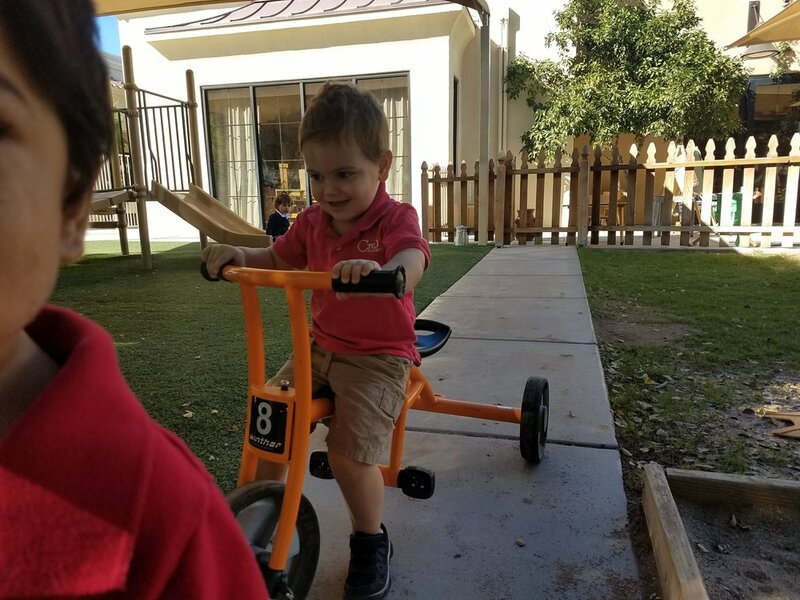 The Montessori Method is “freedom within limits," although the child is free to choose what activities interest them the adult in the class also has to know the child’s capabilities and help prepare them to be able to achieve the activities they are working on. Following the child gives them the freedom of choice and the ability to be independent! Exploring new sounds through cause and effect. Strengthening of the hand as well as eye-hand coordination. Are of the environment through keeping our windows clean. Exploring music not only through instruments but with our bodies as well. Strengthening fine motor skills as well as eye hand coordination with basic stitching techniques. Keeping our environments beautiful through flower arranging. Part of our Outdoor Environment and gardening is to clean off the patio. 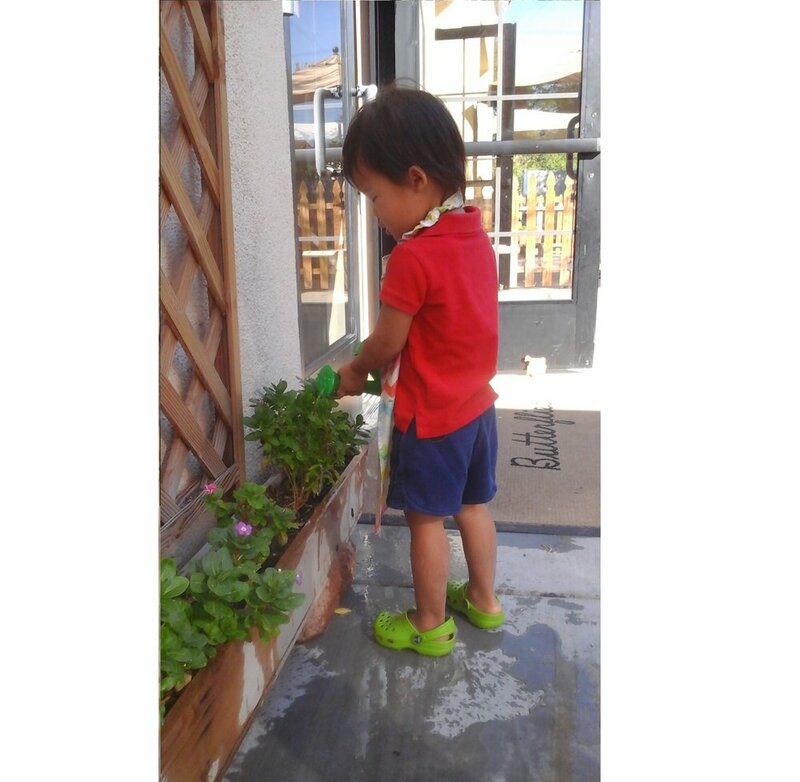 Caring for all living things, including plants, in our toddler environments. Strengthening gross motor movements with this big work.